Child's Distressed Leather Boots have been a staple boot in many stables for years now. These boots tend to be a bit wider than the average western boot, and as such do well for children with a wider foot. Upper shaft is not as tall proportionally as a typical kid's Western boot which helps with wider calves too. 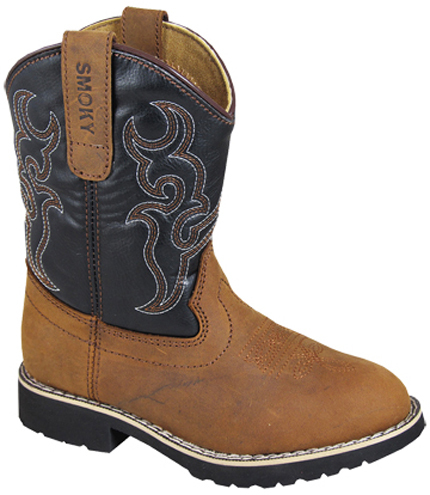 This "Randy" boot has a cushioned rubber sole for durability and comfort. Fully welted Rubber sole allows a fun sole to give support. Cushion Comfort. Easy to walk on rocks.